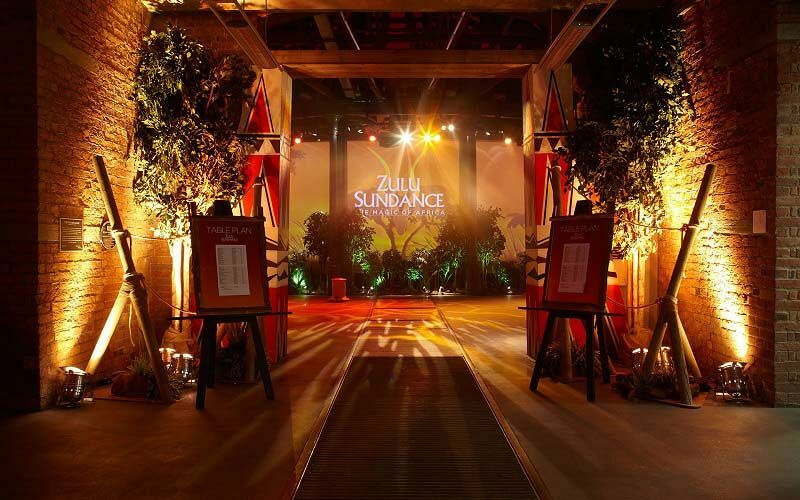 This year in Manchester, discover the spectacular ‘Zulu Sundance’, where the magic of Africa descends over the city’s flagship party venue, bringing an energetic level of entertainment, incredible food and spectacular dance. During the night, you'll become familliar with the outstanding Tanzanian Artists, who will be bringing exhilarating bringing their thumping, irresistible energy this legendary Christmas party venue as it is transformed into a magical and enticing land! 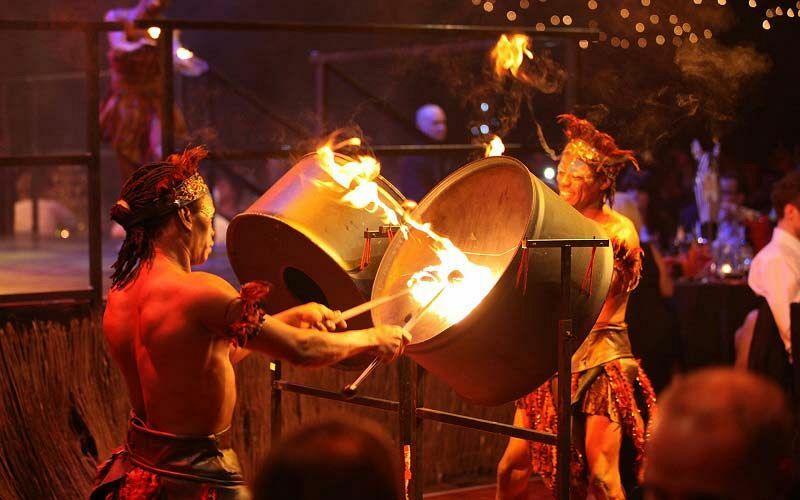 On arrival to the party night, guests will receive a warm welcome with traditional African drumming and dance against the backdrop of a stunning rainforest where waterfalls and giant sweeping trees create a truly enchanting experience. As you make your way through the venue, guests will be served handcrafted canapes and delicious drinks as you start to explore and decide where to experience first. Grass roofed mud hut bars offer crisp wines and cold beers and the legendary Champagne and cocktail bar create popular concoctions infused with a sprinkling of African magic! Gaze in awe as the spectacular performers entertain in their vibrant African costumes with traditional masks vying for your attention as their infectious energy fills up the room. It won't be long guests hear the sounds of African drums as they're summond to indulge in a mouth-watering Christmas feast - they'll make their way through the giant gates of the African Kingdom, emerging in the warmth of the grasslands. Glistening beams of light dance across tables as you take your seats for the meal, when suddenly, the evening's entertainment accelerates as the stage comes alive with powerful rhythmic dance, gravity defying African pole, dance and high level aerial cirque routines. 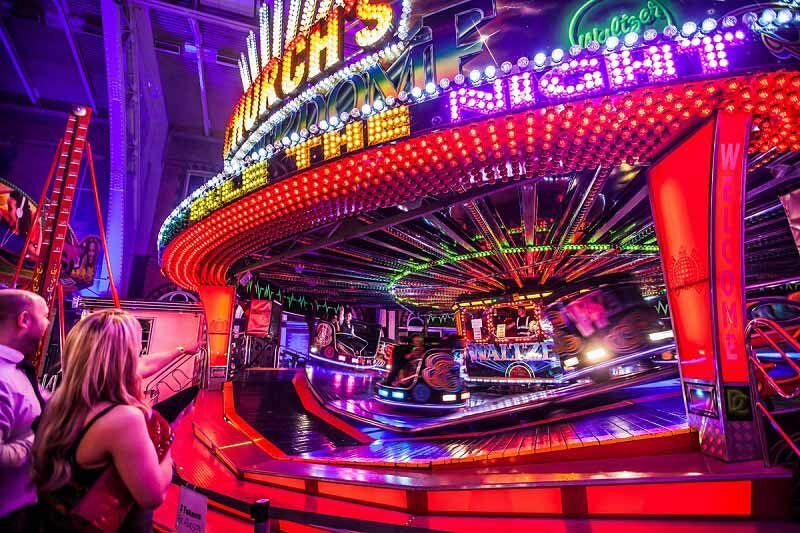 The celebration shows no signs of slowing down as the DJ and dance floor explode with spirit and verve, bars continue to serve incredible concoctions, Dodgems, waltzers, twist and Miami fairground rides whirr to life, and the fun casino tables and fairground stalls compete for your attention. Alternatively you can choose to relax in a quieter area and enjoy freshly brewed coffee with friends. As the clock reaches midnight, breakfast rolls are served against the vista of twinkling lights and inspiring scenery. 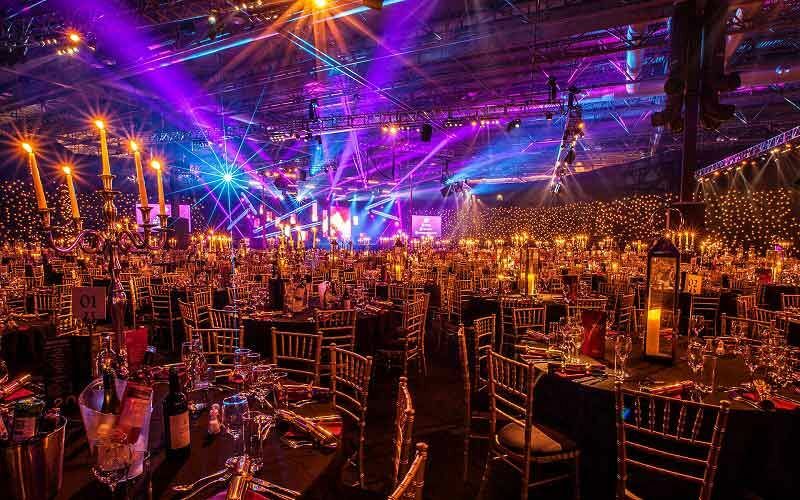 The evening has been a true masterpiece – as your party comes to a close, warm memories of a great evening will live long… until the next Christmas party comes around that is!